There’s no reason to dread using a CPAP machine if you have been diagnosed with sleep apnea by your Toronto healthcare professional. Even though, the thought of sleeping for the rest of your life with a mask fastened to your face with a noisy machine in tow seems scary, it does not have to be a deal-breaker. CPAP is recommended as the first line of treatment for sleep apnea cases because it is a lot more effective than most other forms of therapy. It has a proven track record and is the most non-invasive form of treatment. But despite all this, if you are still sceptical about using a CPAP machine, then here are some alternative treatment methods for your consideration. There are a range of alternative therapy devices which are available nowadays. Oral Appliances: A sleep apnea oral appliance is a custom made device that works by holding the jaw in a forward position, which prevents the soft-tissues in the back of the throat from collapsing. This in-turn keeps the airway open. 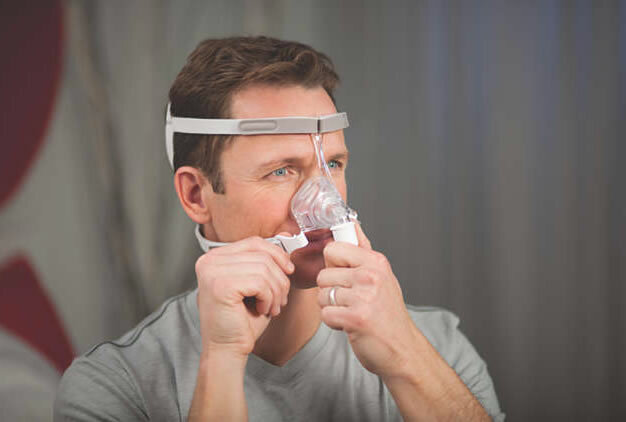 Oral Appliances can either be used in conjunction with CPAP therapy or can be chosen if you wish to try a milder form of treatment before trying CPAP. Pros: It is a dental device that can be worn easily unlike a face mask which may not be suitable for all. Cons: It is only effective in patients with an AHI (Apnea–Hypopnea Index) less than 30. If you have an AHI higher than 30 or are extremely obese or have poor dental health, then this therapy is not recommended for you. Compared to CPAP: Oral appliances are not as effective as CPAP machines. Yes, they can be used in certain scenarios. But there is no guarantee whether it will work unless the patient tries it first. The chances of success can only be determined after a detailed study of the patient’s teeth, jaw and airway. In-Office procedures are minor surgeries that are minimally invasive. One of the most popular ones is the Pillar procedure. Pillar Procedure: The pillar procedure involves a minor surgery in which soft polyester rods are placed in the soft palate. This stiffens the palate as it heals and as a result reduces the flutter. The procedure is carried out under local anaesthesia and is usually preferred in patients who refuse CPAP and meet the criteria needed to carry out the surgery. Pros: If you have OSA resulting from palatal flutter, then this may be a good alternative therapy. It is not as invasive as surgery and does not require removal of any tissue unlike traditional methods for stiffening the palate. Cons: However, most cases of OSA do not occur solely from palatal flutter and hence, to get best results, experts recommend using Pillar procedure with other procedures. Also, there may be a risk of extrusion or infection from the inserted soft rods. If you are allergic to the material, then this therapy is ruled out. Compared to CPAP: If you have tried CPAP and do not wish to continue with the treatment, then you can consider procedures like these. However, as mentioned earlier, to maximize the chances of success, it may need to be combined with other surgical procedures. There are other alternative therapies too like Somnoplasty, Laser-Assisted Tonsil Ablation, Balloon Sinuplasty and Bariatric surgery which can be considered according to the cause and the severity of the condition. However, when compared to these, CPAP seems to be the most effective and proven form of therapy. Speak to your Toronto healthcare professional about alternative therapies if you wish to know more about them.